Chris Hoffman's poems speak with a clear meditative voice that bridges the gap between our human lives and the healing spirit of nature. – Joseph Bruchac, author of more than 70 books of poetry and prose including the best selling Keepers of the Earth series. 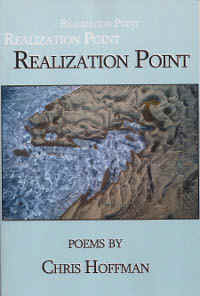 I especially enjoy the tone of the poems in Chris Hoffman's book, Realization Point, the union of his voice with the details and individual lives of his surroundings. Hoffman's language and his close observation of the day, the night, and the moment become one in this work, along with his gratitude for each aspect of the living world and his presence within it. – Pattiann Rogers, author of numerous poetry books, including Firekeeper, chosen by Publishers Weekly as one of the Best Books of 1994. 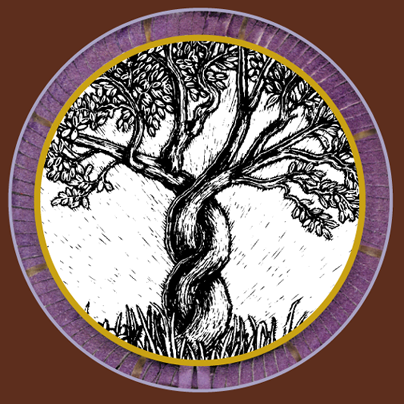 Chris Hoffman has distilled fierce and ineffable magic into these pages, with ancient wisdom and power in which we readers are blessed to share. Chris Hoffman's poems immerse us in the wonder of nature, leading us gently into communion with rock, animal, and spirit. He speaks of relationship with such awe and gratitude that our tears of yearning become loving affirmations of the sacredness of all things. – Stephen Jones, author of The Last Prairie, a Sandhills Journal and Peterson Field Guide to the North American Prairie. A rich volume of poetry about life's flourishing. – Roshi Joan Halifax, Buddhist teacher, Zen priest, anthropologist, and author of several volumes including Being with Dying, The Fruitful Darkness, and Shamanic Voices. She is Founder, Abbot, and Head Teacher of Upaya Zen Center, a Buddhist monastery in Santa Fe, New Mexico. Chris Hoffman's REALIZATION POINT confirmed for me the importance of inspiration in the creative process. Chris's inspiration is nature and geology. Hiking through desert and canyons he follows a path to his innermost perceptions of family, and his place in the cycle of life. We take the journey with Chris, transported to forested, barren, or rocky places as he leads us to his insightful reflections. Very meaningful and beautiful poetry. are part of my shape. beside the well in the inner courtyard. as they have for generations. A meteor strikes like a match across the sky. and the rhythm of hands on a drum skin. and some just felt like failure. But now the gems of days stand out. for the shortness of days.